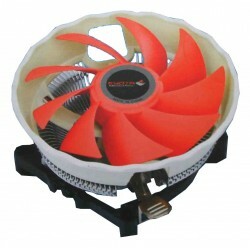 Dual fan installed option and Anti-vibration rubbers attached. 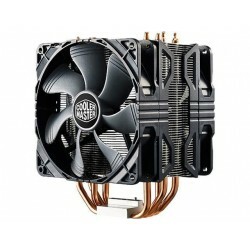 2pcs Φ8mm & 4pcs Φ6mm high performance heat-pipes. 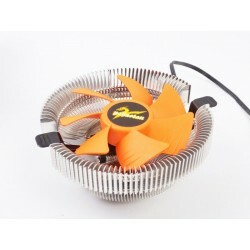 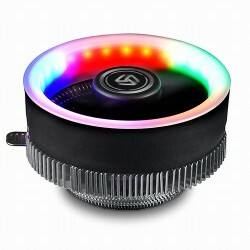 PWM fan to adjust the power of the fan efficiently. 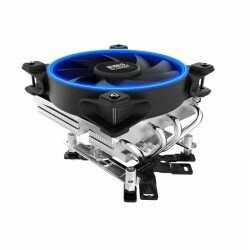 Mounting system, Spring-Screw and consolidate back plate. 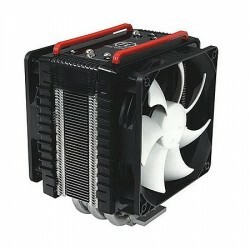 Aegir is a high-end tower cooler based on the newly developed D.L.H.D.T. 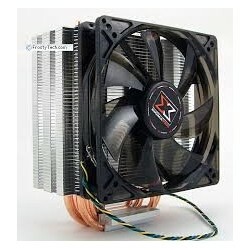 (Double Layer with Heat-pipe Direct Touch) structure. 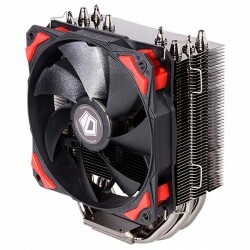 With its 2x 8mm and 2x 6mm Heat-pipes on the H.D.T. 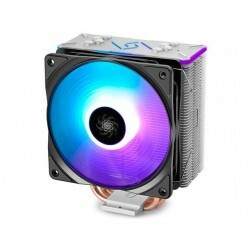 Base and the 2x 6mm Heat-pipes on the 2nd layer, it is launched as a “World Exclusive Technology Cooler” but also delivers outstanding performance. 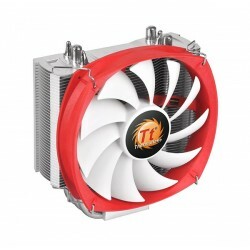 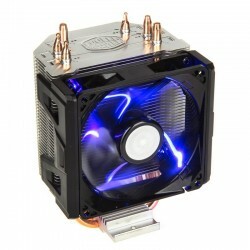 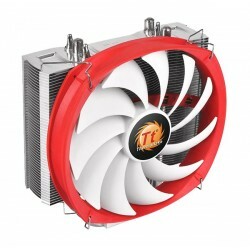 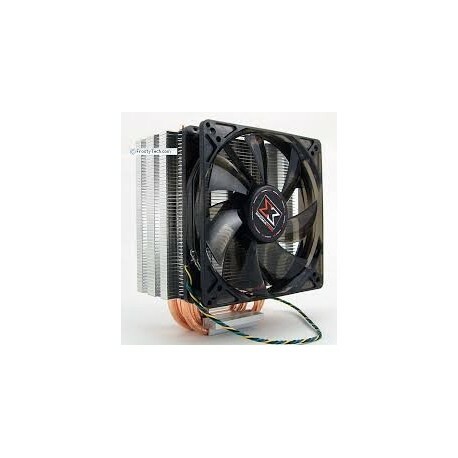 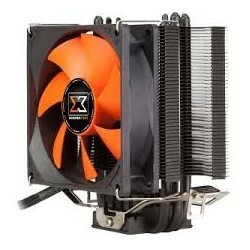 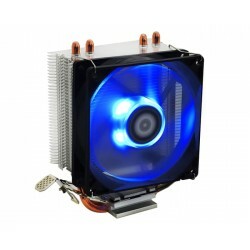 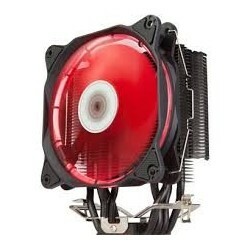 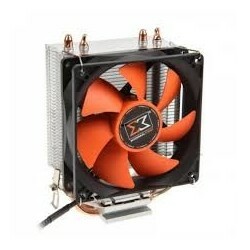 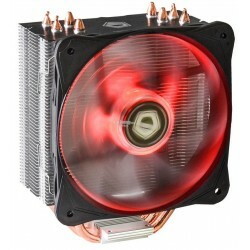 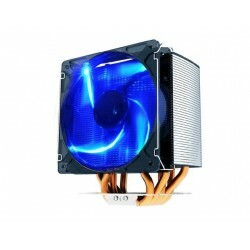 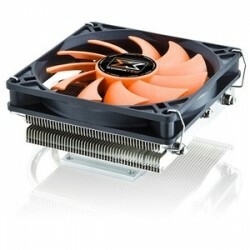 It is compatible with Intel LGA 775/1156/1366 & AMD Socket AM2/AM3. 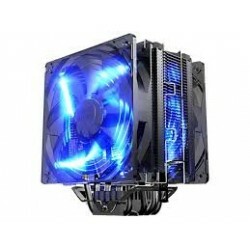 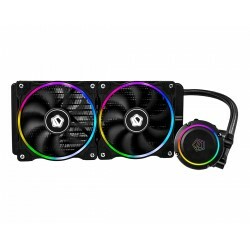 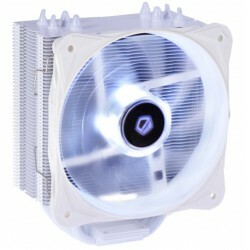 Dual fan cooling design provides a higher intake volume, giving you coolers with optimum airflow. 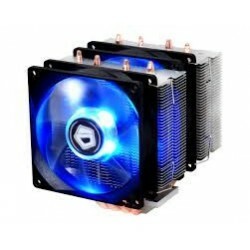 Double Layer H.D.T. 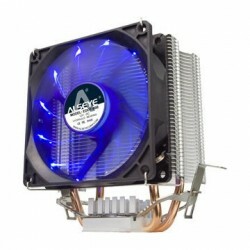 (Heat-pipe Direct Touch) Technology Two 8 mm and two 6 mm heat-pipes make direct contact with the CPU, while a second layer of two 6 mm heat-pipes indirectly draw extra heat from the CPU, thus increasing the amount of heat that can be transferred to the aluminum fin array above. This effectively improves the heat transfer efficiency of the base. 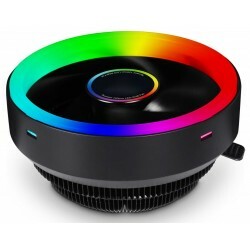 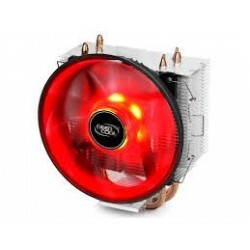 Dual Fan Option The Aegir SD128264 comes with a 120mm white LED fan rated to push up to 89.45 CFM of air. 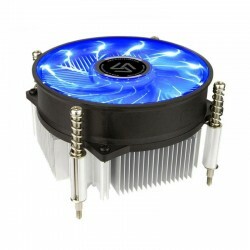 The fan supports PWM speed control and mounts to the heatsink using anti-vibration rubbers to prevent vibration and absorb noise. 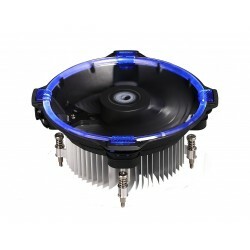 For more cooling performance, the Aegir SD128264 allows a second 120mm fan to be installed to cool those highly-overclocked CPUs. 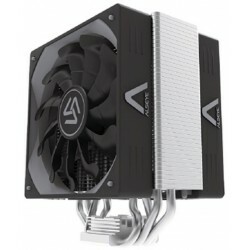 Universal Socket Compatibility The Aegir SD128264 features a friendly mounting system, spring-screw and consolidate back plate for broad compatibility and easy installation with Intel LGA 775/1156/1366 & AMD Socket AM2/AM3 platforms.